Smithsonian Libraries’ has an Adopt-a-Book Program that provides essential funding to support the conservation, acquisition, and digitization of books and manuscripts. In addition to adopting books online, the Cooper Hewitt Library will be having a special Adopt a Book event on Nov.7th, 2017 in the museum in New York City. This title is one of the books up for adoption so that it may recieve preservation treatment. We are more familiar with the graphic arts of Communist Russia as vehicles for propaganda – especially posters. 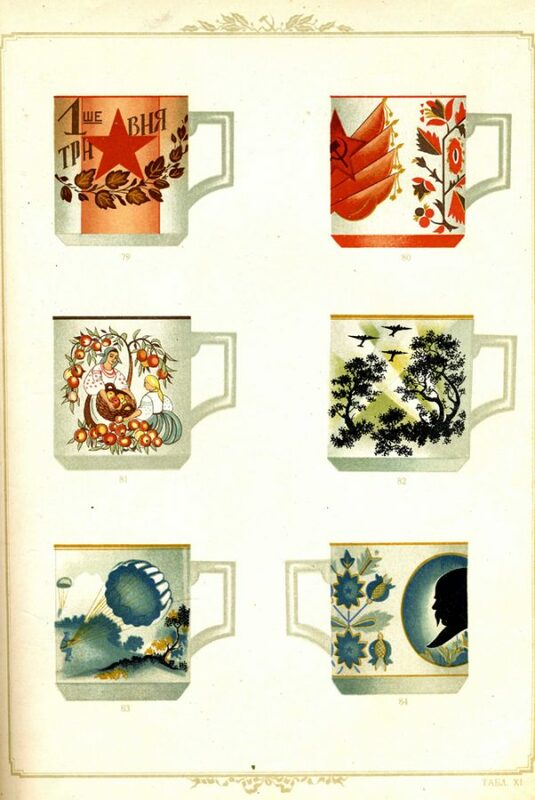 The decorative arts, especially of utilitarian objects like the tableware featured in this catalog, were important vehicles for disseminating political concepts of the new social order and Soviet nationalism to the masses in everyday life. Cups # 82 and 83 above portray the military might and wartime spirit of the Soviet Union with fighter planes and parachutes as decorative designs. The Stalinist era of the 1930’s combined “peasant” or folk art motifs and patterns with propagandist symbols, emphasizing social and communal values while depicting positive images of workers and peasants. 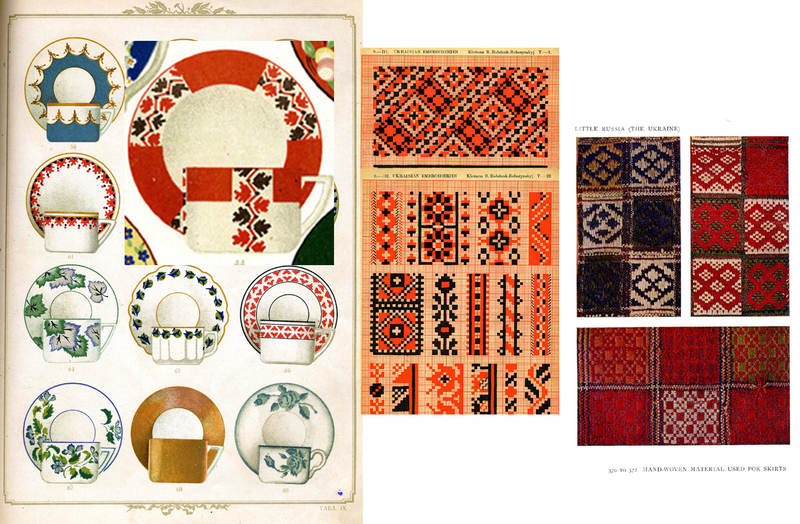 Several of the designs come directly from traditional Ukrainian geometric folk patterns used in embroidery and textiles.